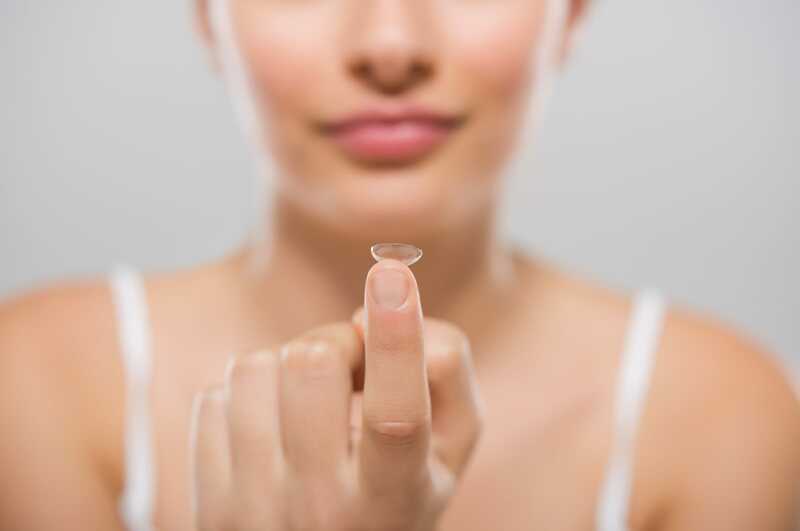 Contact lenses are a great option for people who do not want to wear eyeglasses, but if you’re new to wearing contacts, you may find that you have a few concerns. Have no fears—we will address the most common problems with contact lenses. Cleaning contacts—If you have recently switched from wearing glasses to wearing contacts, you’ll want to be a little extra careful in order to ensure that your lenses are properly clean. Make sure to use contact lens solution so that your lenses do not get any build-up on your contacts. If you wear daily contacts, you don’t even have to worry about daily cleanings since these should be thrown away at the end of each day. You can wear contacts and makeup simultaneously—If you’re concerned about wearing makeup with your contacts, have no fear. Wearing makeup will not interfere with your contact lenses. Just be sure to put your contact lenses in before you apply your makeup so that the oils from the makeup do not get onto the lenses. Take your contact lenses out if you take a nap—If you decide to rest your eyes—even just for a few moments—it is important that you remove your contacts so that your eyes do not become dry. If you have allergies, you may want to try daily contact lenses—Suffering from environmental allergies is common no matter what time of year it may be. If you have allergies, switching to daily disposable contact lenses may help you to increase the moisture in your eyes. Also, be sure to remove your contact lenses 15 minutes before using eye drops so that your eyes can fully absorb the moisture from the drops. Caring for your contact lenses doesn’t have to be difficult. To learn more information about contacts, or to schedule an eye exam with one of our optometrists at Valley Eyecare Center, call (602) 955-2700, or visit our website.